Moshe and Aharon would be walking, and Nadav and Avihu followed them. They would say to each other, “When will these two elders die, and we will lead the generation?” HKBH said to them, “Let us see who will bury whom.” R. Yudan says they verbally spoke. R. Pinchas says they [merely] thought this. How are we to look at the humility of our greats of the past? On the one hand, Chazal are critical of Shaul for forgoing his honor, remaining mute when mocked by the base men who ridiculed him when they heard of his appointment as king. Yet they praise Dovid for having humbled himself before his superiors in Torah knowledge in his early years, and for continuing to humble himself in his later years before those greater in wisdom. The difference, we will argue, is in the beholder – who it is who observes the great person as he steps down a few levels. We find two kinds of talmidei chachamim among us. One kind dedicates his life to learning and spiritual activities. A second kind takes on even greater responsibility, involving himself in all sorts of temporal needs of his flock. We would think that the common folk would honor the latter – who interact with them and help with their pedestrian concerns – more than those who do not budge from the beis medrash. In fact, however, the opposite is true. Somehow, the am haaretz maintains respect only for those aloof from him, whom he sees as living in some distant, sacred space. When he grows more familiar with a great person, his estimation of him diminishes, rather than increases, as it should. Chazal express this pithily. 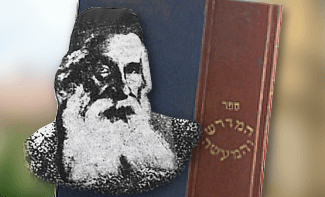 “To what is a Torah scholar compared in the eyes of an am haaretz? At first he appears as a golden jug. After he converses with him, he appears as a silver jug. Once he has benefited from him, he appears as an earthen jug, which once broken, can never be repaired.” By this they mean that a vessel can be important for the worth of its material, or for its utility, or both. The ignorant person who knows the talmid chacham only from a distance, initially looks upon the Torah scholar with detached reverence. When he gets to know him a bit, the talmid chacham loses part of the aura that the am haaretz assigned him. His intrinsic importance is diminished from gold to silver. If this talmid chacham spends time with the ignorant person’s worldly affairs, he loses even more of the reverence. He retains respect for his utility – like any other tool or vessel, which benefits us even if made of a coarse material like earthenware. Should the talmid chacham, however, fail him a single time in providing some expected benefit, he becomes in his eyes like a piece of broken pottery. This observation gets us closer to our goal. For the vast majority of us, displaying any haughtiness or self-importance is a failing, regardless of the audience. A person of stature – a king, a leader, a talmid chacham – must make distinctions. His honor is not his own; he cannot waive it at will. If he lowers himself before the wrong people, he cheapens the source of his honor, and the nation that has a stake in it! He must distinguish between lowliness and a humility that works within carefully reasoned boundaries. Shaul was criticized because he compromised his honor in front of “base people,” the kind that quickly turn golden jugs into broken pottery. Dovid, however, was more cautious. In his “civilan” life, he was humble before his brothers, despite his hidden greatness. At no time did he so for the “base people” as did his predecessor, Shaul. He also honored others – selectively. He was deferential to those who presumably possessed more Torah learning than he did, even when this was not necessarily so. He did not inquire much else about the person, but bestowed honor liberally. Later, after assuming his public role as king, he would only humble himself before the Torah scholar who also possessed “wisdom,” as the gemara puts it, meaning the full complement of midos, qualities and characteristics of one who is suffused with Torah content and the growth it should produce. This development helps us understand the dialogue between Michal and her husband Dovid in the haftorah. Michal was highly critical of her husband dancing and cavorting in front of the nation – meaning all classes of people, including the lowest – as he celebrated bringing the aron with the luchos into Yerushalayim. She saw that all eyes were upon him. Few of the “better” people joined in. She found this humiliating to the position of king. Dovid’s response to her was incisive. “Before Hashem Who chose me over your father…to appoint me as ruler over the people of Hashem, of Yisrael – before Hashem did I rejoice!” You have projected the failing of your father, Shaul, upon your husband! He had chosen me to replace Shaul, and would not have made that choice if I would continue the same error! I did not humble himself before any mortal human, but before Hashem Himself, whose Aron would now rest in a more permanent home. And as far as the effect on the ignorant onlookers – the servants you pointed out – “through them I will be honored!” Dovid had weighed and judged and calculated, and decided that his solo performance was justified. Indeed, rather than his position be diminished in the eyes of the hoi polloi, it would be enhanced. Dovid, then, was correct in relaxing a standard of self-importance that usually must be maintained in front of the masses. Deciding that he could step down from his regal demeanor must have been a difficult decision, we would think. It may have been. But maintaining that demeanor is also fraught. It might be easy for a great person to conclude in many cases that his honor has to be maintained because he represents something bigger than himself. It is harder, however, for that person to keep reminding himself that his aloofness is nothing but a show for external consumption; in his own mind, he must see himself as small and unworthy. With this we can return to our parshah. One of the explanations Chazal give for the sin of Nadav and Avihu as that they refused to wed. They argued that Moshe, who was already married, found it necessary to separate from his wife in order to be spiritually ready to receive the Word of G-d which might come to him at any moment. Now, they reasoned, Moshe and Aharon would not live forever. They were already old. It was clear to them that with the death of those leaders, the dvar Hashem, if it would come to anyone, would come to them. They understood themselves – quite accurately! – as the most deserving. Prudence dictated, then, that if preparing for the Word of G-d required one to separate from his wife, it would certainly require that they not marry to begin with! This reasoning seems attractive and sound. So why did Hashem find it so sinful? Why were they not correct? We see that it is inappropriate for a person – no matter how great he is – to believe that he is fully entitled to a position of prominence, and that the sole reason he has not achieved it is that someone else was the first to occupy that position. Greatness would be theirs, were it not for the accident of someone less deserving beating them to it! Rather, a person is obligated to think and feel that the Jewish people form a great reservoir of spiritual accomplishment. Within it there are bound to be those even more deserving than he! It should be well nigh impossible for a person to view himself as the absolutely most deserving and fitting of a job. Unfortunately, many people quickly (and inaccurately) understand themselves to be the best suited, and indispensable to the community. This is hinted at in our parshah. “Your bretheren, the entire Bais Yisrael, will bewail the conflagration that Hashem ingnited.” This would be a problem for all of Bais Yisrael, and for all time. It would lead to jealousy and enmity in many situations. It remains difficult to understand how such elevated people as Nadav and Avihu, chosen to be the vehicle for tragic but enormous kiddush Hashem, could have exhibited such a character flaw. In fact, there is no reason to assume that they did. Their punishment was of a spiritual one – a special fire the existed for the moment. Their sin, if it can be called that, was of the same nature. Perhaps the slightest thought of their succession had crossed their minds and subconsciously affected their thinking. (This is what R. Pinchas meant in the midrash cited at the beginning of this piece – that they “merely thought” these things.) Hashem, however, is strict with those close to Him. Because the sense of exaggerated importance would be a problem for the community in the future, Hashem took the slightest aveirah of thought and treated it as a full-blown aveirah, in order to leave us with an important lesson.